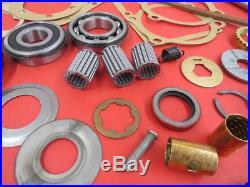 This is a NEW Transmission rebuild kit for 1939-48 Fords and Mercurys. 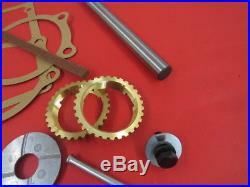 This is a complete kit with all the basic essentials for a overhaul of a transmission presuming all the gears are in good condition. 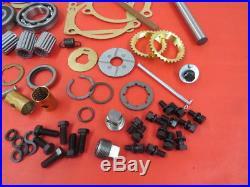 For other commonly used parts not in this kit check out other listings. This kit comes with the 68-7129-B rear thrust washer, if your Transmission has the 8M-7129 washer let us know and we can swap it out. 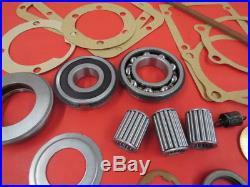 Cluster and Main Drive pilot bearings (3). Main drive output sealed bearing. 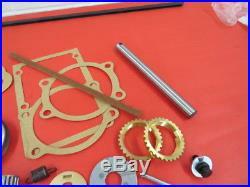 Main drive seal and complete gasket set. 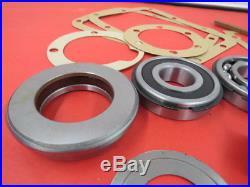 Cluster front and rear thrust washers. Clutch release bearing and spring. 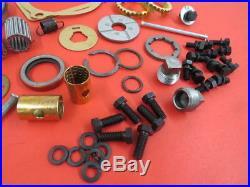 Clutch Release shaft bushings and pin. All new hardware, and needed snap rings. Wait for a corrected total BEFORE paying! Thanks for looking and please add me to your favorite sellers list as most all my items are No Reserve, and we will be listing many goodies throughout the years. 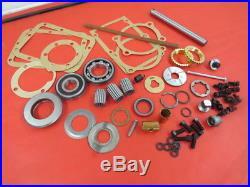 The item "NEW 1939-48 Ford transmission rebuild kit 91A-7000-KT" is in sale since Friday, July 13, 2018. 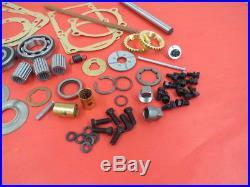 This item is in the category "eBay Motors\Parts & Accessories\Vintage Car & Truck Parts\Transmission & Drivetrain". The seller is "1935fordtn" and is located in McMinnville, Tennessee. This item can be shipped worldwide.